The Brown Eyed Lady – Page 2 – Welcome to my writing space. One week ago today, I started fresh. I quit my job at the bank in order to stay home, sell makeup, and write as much as my little heart desires. Here’s how it went. 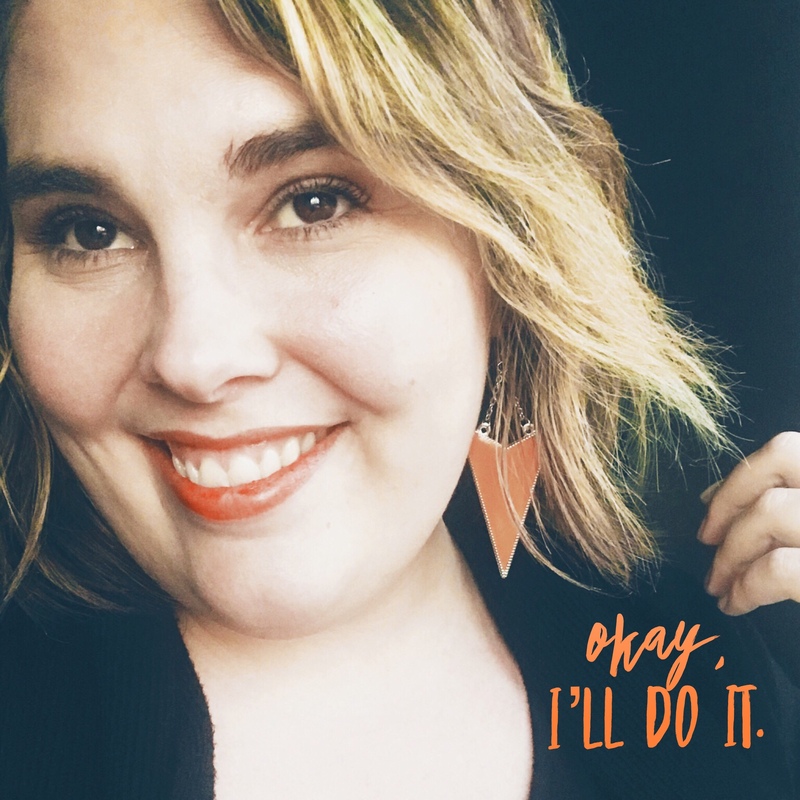 In one week’s time, I decided to do two things that I honestly had not planned to do when I first set out on this “fresh start” course. I decided to write a novel and learn Spanish… not in that order, of course. I honestly believe it will be way easier to learn Spanish than to write a novel. But, I could be wrong because I’ve never done either. My husband asked me How do you write a novel? Beats the heck outta me! But I’ve got a pretty good idea for my story… at least, I believe it’s a good idea. And I’ve had this idea for about a year now, it’s been winding around and squirming about in my mind. Growing, shrinking, then growing again, before it finally decided that enough was enough and it was time to be realized. Plus, I read a book recently about following your dreams and realizing your ideas. In the book, called Big Magic by Liz Gilbert, she explains that she believes ideas to be living things, capable of moving and growing and shrinking and leaving if left to their own devices. And if you get a good one (idea, that is) you had better hold onto it and do your best to see it realized or else you run the risk of losing it. That prospect scared me silly, meaning I decided I better not let my idea slip out the back door and be gone forever. So, that’s one thing I got out of my first week at home… I got to the realization that I better get crackin on my idea before it decides to take a hike. I’ve tinkered with it on and off for about a year now. 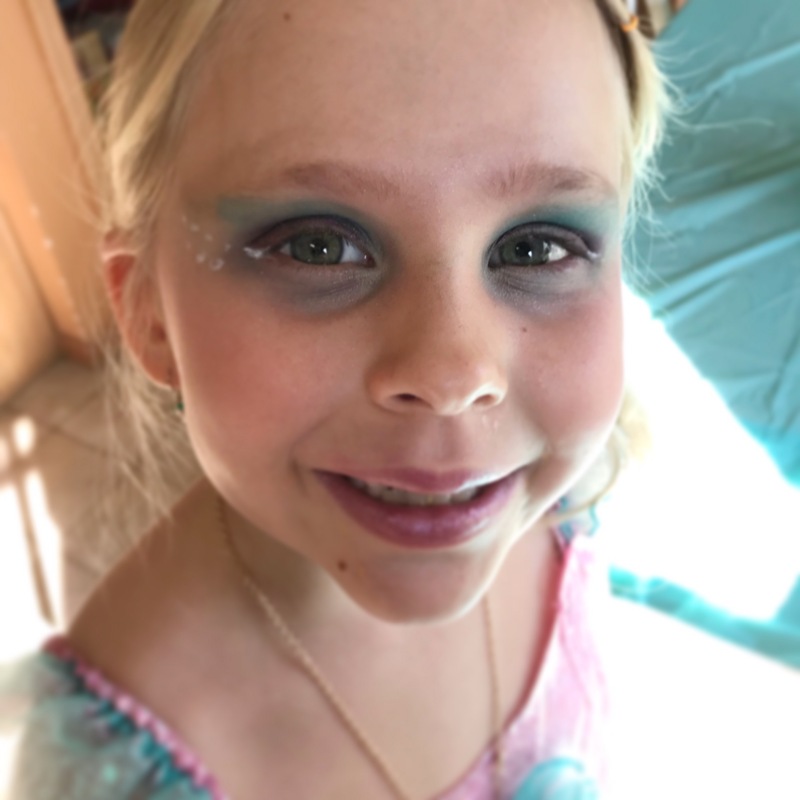 I tell my daughter stories about the main character as if she is real. Now, it’s time to make it so, which is a terrifying prospect when you have never written anything longer than an essay or blog post! But, that’s what this new venture is all about, taking hold of my comfort zone and beating it into submission. I realized though, that I haven’t actually written a blog since I’ve been away from the bank. Which is a crying shame and I offer you my humblest apologies. So here you go. And I promise to stay on top of things going forward. That’s the week so far. I’ll be chronicling these two adventures in this blog over the next few months. So stay posted! 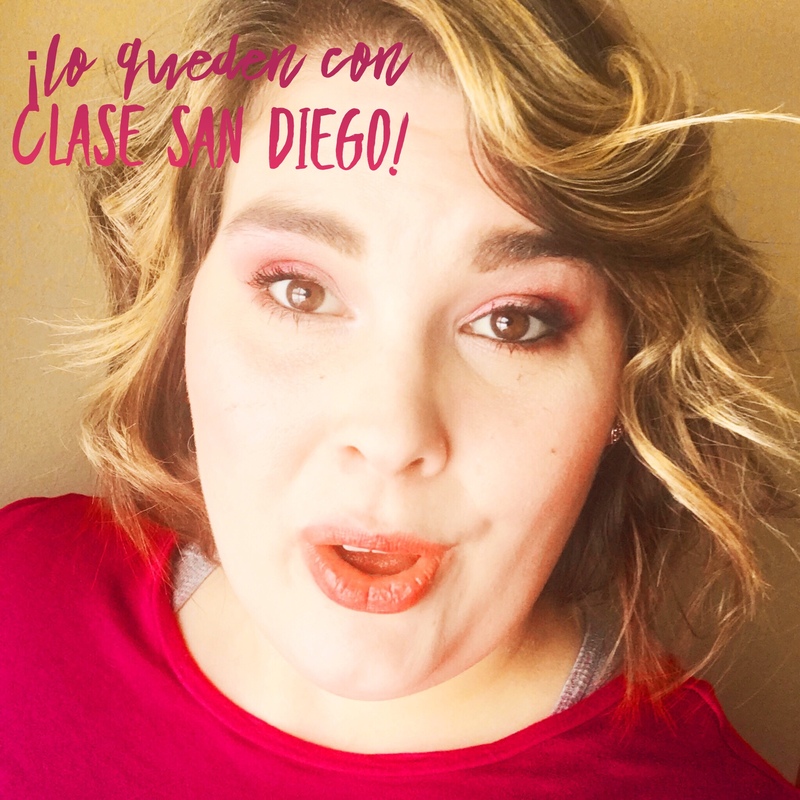 Y lo queden con clase San Diego! On an isolated stretch of Highway 38 in Otter Tail County, Minnesota, there is a streetlight. I drove by it a few days ago on my way home. Note, this is not a highway that I frequent often. I happened to be on this stretch of road because my beloved car Petey (named after the model PT Cruiser, of course) needed to have something replaced. A wheel bearing, or an axle, or ball joint, or something like that. Anyway, my husband brought Petey to Parkers Prairie, a small town in Otter Tail County, for the repair and we were on our way home from dropping the car off when I spotted this streetlight. It was dark out, and I could see the light in the distance. I immediately made note of it because, after all, we were in the middle of nowhere. I could tell this wasn’t a run of the mill headlight. It wasn’t at the end of a driveway or a ways off the road like it would be if it was associated with a house, or a yard, or a barn. It was right next to the road, stationary, yet drawing closer as we approached. There are only a few possibilities for what a light on the edge of the road in the middle of nowhere could be, including: a stranded motorist, a serial killer with a flashlight, or a UFO. So I perked up and paid attention. As we neared the light, it became clear that this was not a murderer, or ET’s return, but a single, solitary streetlight. Odd. And not only was it there, but it was new. This stretch of highway had recently been rerouted and repaved, meaning the road was in an entirely different place from where it had been just a few years earlier. So this light must have been put there during road construction. Why would they choose to put a streetlight there? I mentioned this to my husband and he said Well, it is on an intersection. True. The light was at the intersection of Highway 38 and an unnamed dirt road. There were no homes in the vicinity, just fields for miles on end. And yet, a streetlight. Not to mention that there are many other unnamed dirt roads that intersect with Highway 38 that do not have street lights attached. In the realm of strange things, this streetlight ranks up there as one of the strangest and most out of place things I’ve encountered. Well, there was that one time that I saw a two-headed girl climbing a rock wall in the child’s play area at NASA’s Space Center Houston. I guess that encounter would top this, but not by much. I found it funny that my husband, who works in Parkers Prairie, drives on this highway every weekday and has never noticed this brand new streetlight. So out of place. 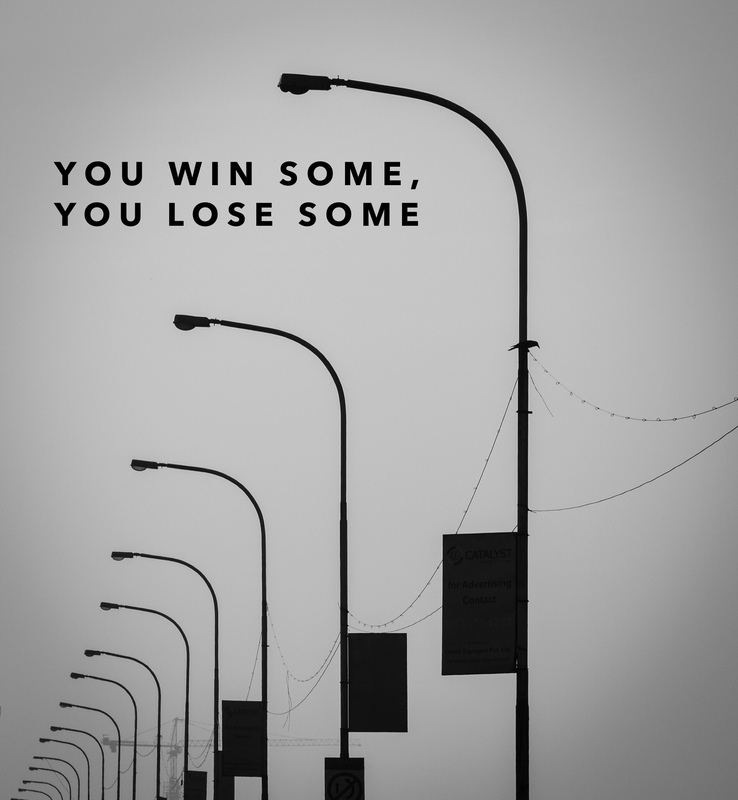 Nothing could be more associated with civilization and less associated with rural roads than a streetlight. Seriously, think about all of the amenities that come along with living in town versus living in the country. City water, city sewer, paved streets, and streetlights. Have you ever battled a home appliance? I have. And I’m proud to say, I won. Here’s how it went down. I took on the wretched task of cleaning the house while my husband took the kids to the clinic for their annual flu shots. Over the last week, my mother came to visit from Texas, my mother-in-law had her annual Christmas hoedown, and my daughter broke her leg skiing. The house was a disaster and with all that going on, cleaning it fell to the bottom of the totem pole of priorities. I took one for the team and stayed home to clean. The volume of Christmas stuff that had infiltrated our living room was astounding and it all had to be put away. 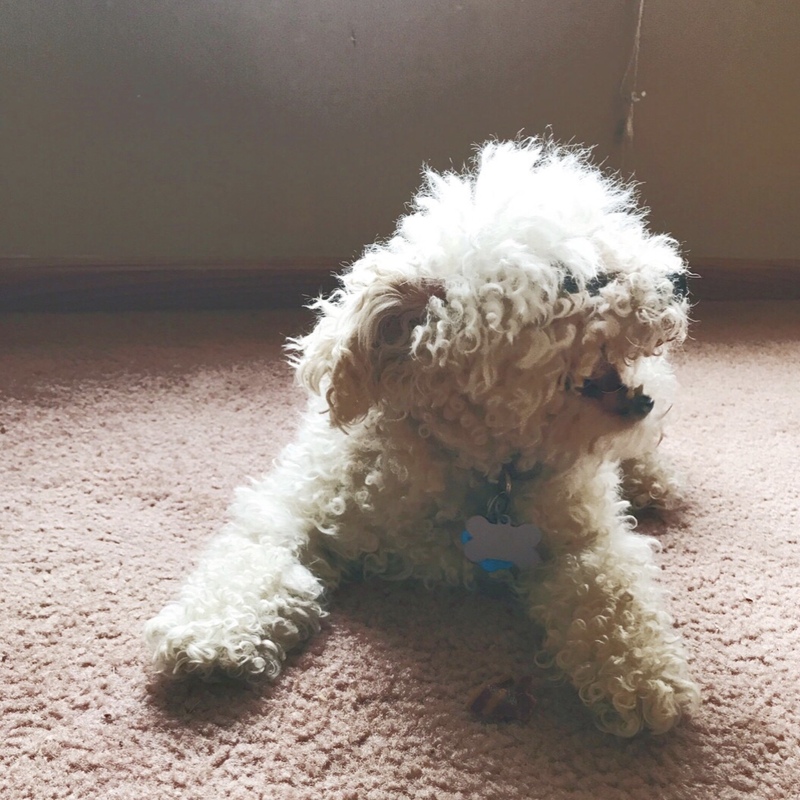 And, go figure, when I walked in the door after spending half the day at the orthopaedic surgeon’s office, I found that my beloved poodle, Princess, had pooped all over herself and then proceeded to rub it into the carpet in several places. So, I had to bathe her and scrub the carpets. I don’t know about you, but I really need to jazz myself up to get in the mood to clean. Once I get into a rhythm, I can usually clean fairly productively… but getting into that rhythm is the difficult part. I personally like to put in my wireless earbuds and find something motivating on YouTube, which is exactly what I did to tackle this project. I spent much of the afternoon with Tony Robbins in my ear telling me about the power of positive thinking while I loaded dishes, laundry, and garbage into their respective receptacles. 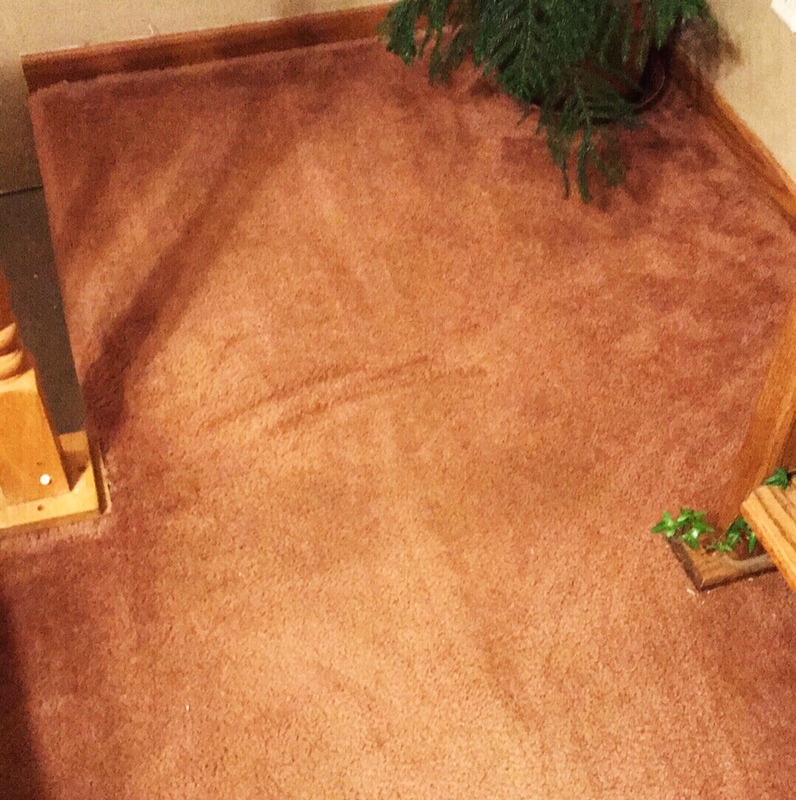 The final task of the evening was to vacuum… and trust me, the carpets were in desperate need of it. I opted to start by the Christmas tree, the area that took the brunt of the Christmas brouhaha earlier in the weekend. 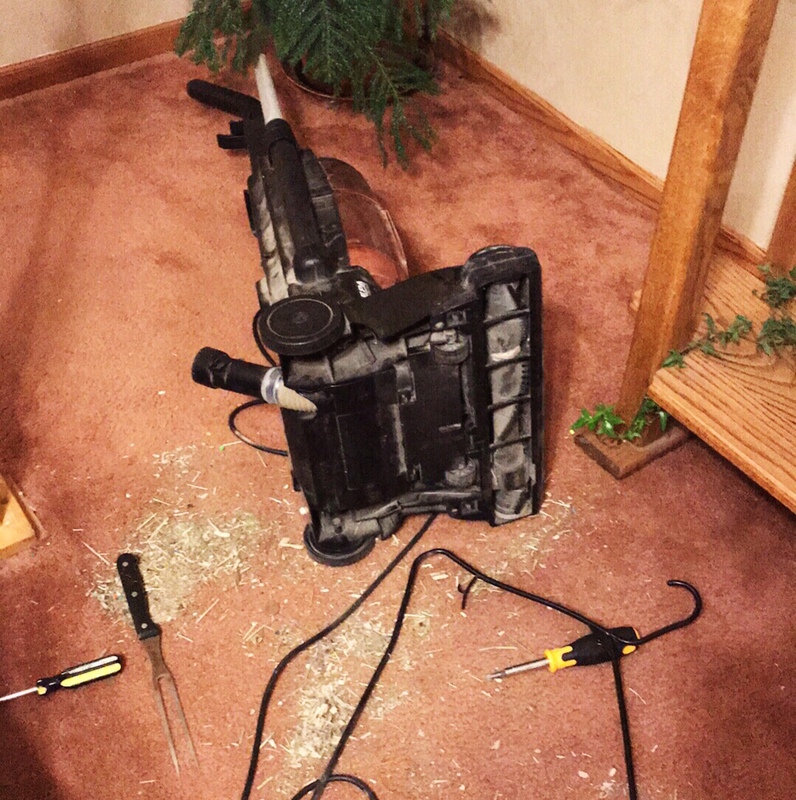 A few swipes back and forth and it was clear that the vacuum was not working properly. It was not sucking… or, more accurately, it was sucking at sucking. My general policy when dealing with the vacuum is to let my husband take care of it. Today though, I decided that rather than lean upon someone else, I should just figure it out myself. 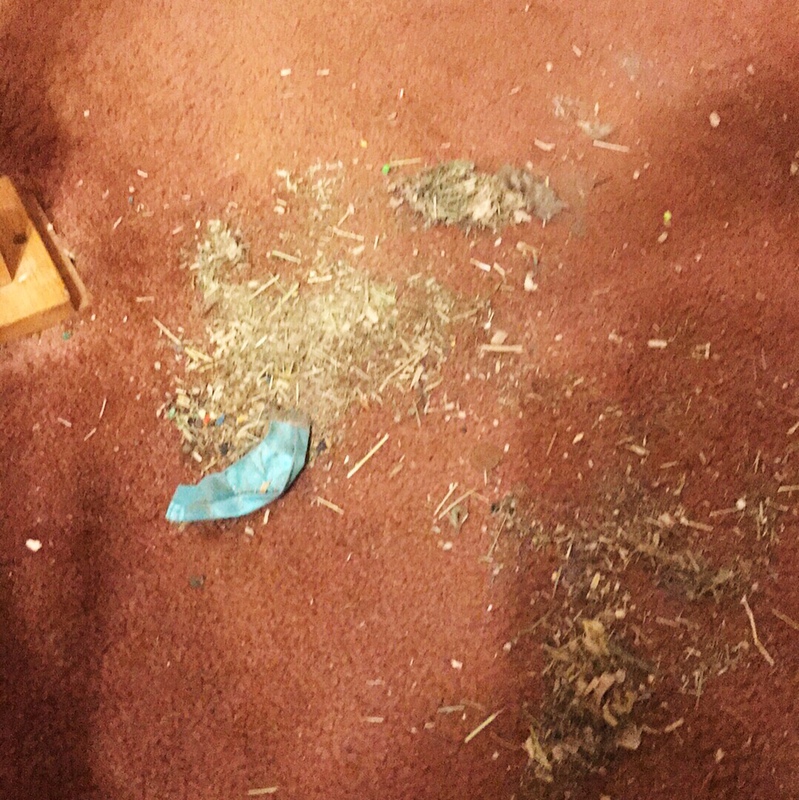 And I wanted to get the damn floor vacuumed… Now, not later, now. I proceeded to rip the beast apart. First, I took the main hose off and stuck the broom handle all the way through it to make sure it wasn’t clogged. That is the easiest solution, but of course, that was not the issue. So I flipped it on its side to inspect the undercarriage. After several minutes of trying to make heads or tails of the machine in front of me, I figured out that there was another hose that transferred the dirt from the brushes on the floor, up into the main hose. Was this smaller hose easy to access? Hell no. Was this where the clog was? Yep, sure was. First, I tried poking a screwdriver down the neck of the hose. I was able to free up some of the debris, but mainly I just pushed it in tighter. Then I tried the end of the broom handle again. That would have worked had the little opening at the base of the vacuum not been hooked just slightly to the side, making it impossible to stick something as thick as a broom handle down into it. My next try was a plastic coat hanger broken at one end. This worked better than the broom handle because it was smaller, and more flexible, but this too was just making the packed wad tighter. I took a moment to inspect it again and finally saw that the issue causing the hard pack of debris was a piece of balloon shrapnel from Jack’s last birthday. I figured that I needed to find something that I could use to pinch the balloon and pull it out. But that was easier said than done. Everything I could think of (kitchen tongs, tweezers, chopsticks) was either too small or too large or just silly. After a quick runthrough of the miscellaneous drawers in the kitchen, I opted to try the long meat fork that came with our rotisserie. Wouldn’t you know, it worked! I was able to stab that wad of dirt and debris enough that it finally gave in and came loose. Out came the balloon along with three pennies, and a mass of hay from the guinea pig cage in the basement. That’s right, I won. I claimed victory over the vacuum cleaner. And it felt damn good! It’s been a little while since I wrote a blog post… and there’s a reason for that. I’ve been busy. And when I say busy, I mean BUSY. All caps, no messing around. I’ve got some major things cooking in my life, one of which is a writing class that I’m taking through Alexandria Community Ed. It’s a fascinating class, but it has gotten most of my writing attention over the last few weeks, and for that, I apologize to my dear blog followers. But today, I had something happen to me that got me thinking about my current attitude and I thought I would share. 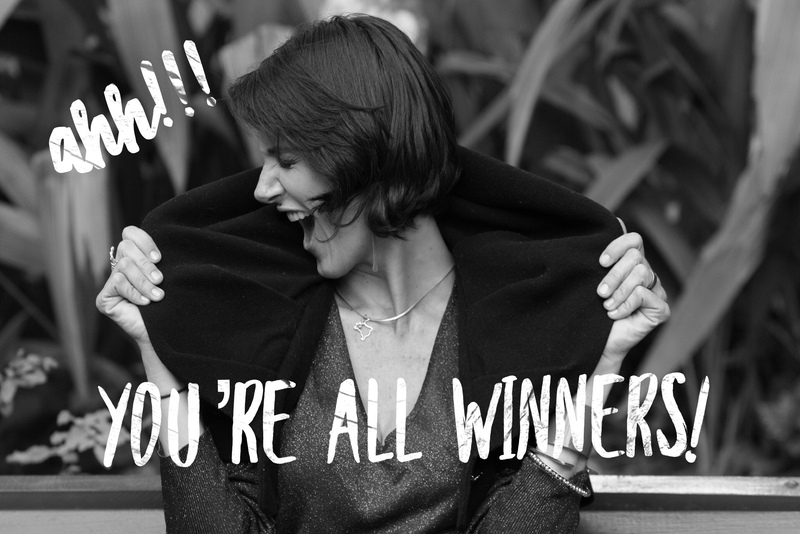 Plus, it feels really good to write a blog post again! I was at the Minneapolis/St Paul airport today dropping off my family members for their Thanksgiving trip to Texas. Why did I not go them, you ask? That’s a long story and one for another time. After I left the airport, I opted to exit 494 right away and stop at a gas station to use the facilities (it was a long ride there). I noticed a police car behind me on the interstate, but I paid little attention to it because, after all, I was doing nothing wrong and I knew it. I took the exit ramp and stopped at the light behind two other cars. It was a regular, 4-way, stoplight, just like any other exit ramp stoplight I had ever seen. I had absolutely no reason to believe it was any different or no reason to think I needed to be on the lookout for abnormal road signs. Okay, I’ll admit it, I was probably not paying terribly close attention to the road signs due to the fact that my bladder was on the verge of exploding. So I pulled up behind two other vehicles at the light, which was red, and each of the two vehicles in front of me turned right on the red light. Turning right on red is perfectly legal in 99.9% of stoplights in the state of Minnesota… but apparently, not at this one. I turned right on red as well, and as I pulled into the gas station parking lot, I saw the lights flashing behind me. Great. I was legitimately stumped as to what I could have done that warranted a stop. My vehicle is brand new, so I my tail lights should be working properly, I have a clean drivers’ license, and, as far as I know, no outstanding warrants. So what in hell could I have done?! I thought. Apparently, I had missed three signs telling me that it was not legal to turn on red at that light. And by following the lead of the two vehicles in front of me, I had been the one to get nabbed because I was the last one at the light before the cop. He was perfectly nice… albeit a wee bit condescending, and he made sure that I was aware that he had just saved me $138 by not giving me a ticket for my driving infraction. But that was understandable, I did after all, commit a driving infraction. I thanked him for his generosity, promised him that I would be more careful, and went inside to take care of more pressing business. I firmly believe that everything, even those unpleasant things like getting pulled over, or stepping in dog poo, happen for a reason, and a lesson can be learned from it all. So what was the lesson? Well, as best I can tell, I need to pay more attention to the road, particularly in Minneapolis where I have no experience driving on a regular basis. I need to take time to stop and relieve myself before my bladder reaches critical mass so that I can better concentrate on the road. And I need to be grateful for the officer who brought my error to my attention, thereby protecting the people of the city of Minneapolis, and graciously saving me $138 by sparing me a ticket. Always, always, be grateful peeps! 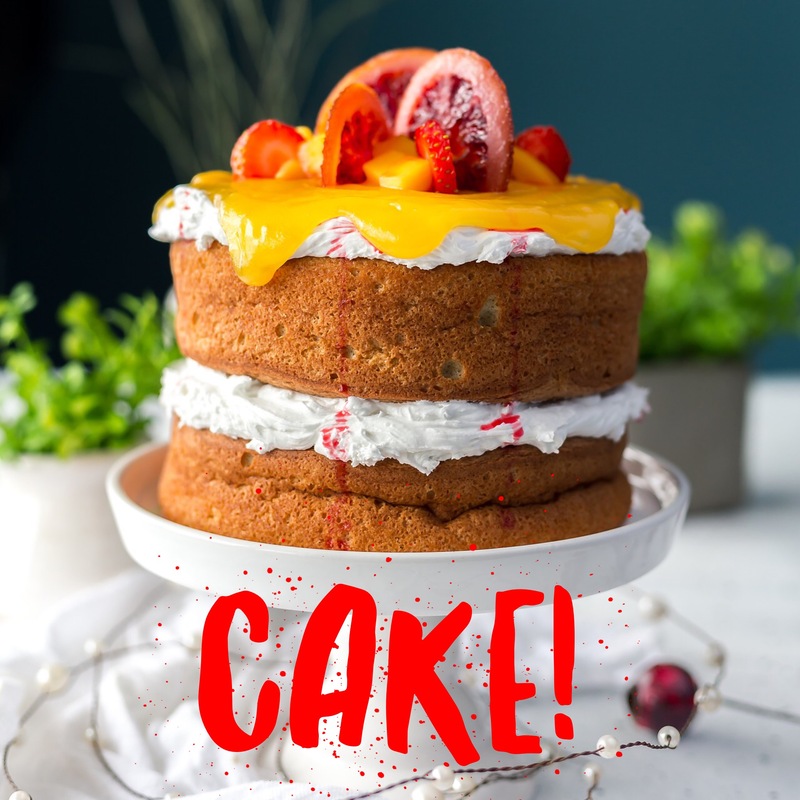 We have all been there… you go into the lunchroom at your workplace and there, sitting in the middle of the big table, is the cake. It has been put there by one of your wicked coworkers (okay, my coworkers are not wicked but for the sake of the dramatic, wicked) because they didn’t want the damn thing sitting on their kitchen counter at home. This happened not too long ago and it got me thinking about temptations. Don’t get me wrong, I ate the cake, and actually, cake is not really something that I consider a temptation anymore. You see, when you give yourself permission to eat it, it becomes less exciting and more like just a normal, afternoon snack. But this served as the best way to illustrate temptation where nearly everyone could relate. Like I said, the cake scenario got me thinking about other temptations that arise in life. I Googled the word temptation (and by the way, did you know that “Googled” is an actual word!?) and I was a little surprised by what popped up. According to my dear friend, Wikipedia, temptations are the short-term urges for enjoyment that threaten long-term goals. Ugh, that’s not pretty! And if you actually look at the little blue, highlighted words that are associated with temptation in that Wikipedia article, you’ll see words and phrases such as: sin, manipulation, curiosity, desire, fear, self-control, ego depletion, infatuation, judgement, condemnation. Yikes! If you tried to round up a bunch of negative words and phrases, you probably couldn’t think of as many as were listed in the temptation article. So if temptation is downright dirty, then why is it that it infiltrates our lives DAILY? It must serve some sort of purpose, since every single human being on the planet feels it from time to time… or all the time. Right?! I mean, our urges and desires and curiosities are there for a reason. For some physiological reason, our big ol’ brains produce this type of reaction to stuff we want. I don’t know the answer… I could do some research for you but that’s not really the point of this post so I’ll move on. Back to the cake. When I was in the depths of eating disorder hell, temptation ruled rampant. Essentially everything I did revolved around what desire could be fulfilled at that very moment. There was no plan, no thought of the future. I never stopped and thought to myself, Gee, maybe I shouldn’t eat that entire tub of ice cream and then go throw it up. That’s probably not good for my body. Or never once did I think, You know, subsisting on 500 calories per day is probably not the best idea if I’m interested in my long-term health. But as mighty Wikipedia states, temptation is all about fulfilling the short-term desire by sacrificing the long-term goal. I know now that dieting, and binging, and purging, and starving, and over-exercising, and obsessing over food, and mentally degrading yourself, are all unhealthy behaviors. Yet what do I find myself confronting daily?? Those same, ridiculous, disordered behaviors! I’m not saying that I partake in these behaviors anymore, but I do face them every day like clockwork, and I am forced to make a choice about how I will react to them. I’ll give you an example. At my former workplace, the restroom was public, meaning it was an open room with two stalls. For a practicing bulimic, this is no bueno, considering you can’t do a proper job of tossing up your lunch in a public restroom such as that. 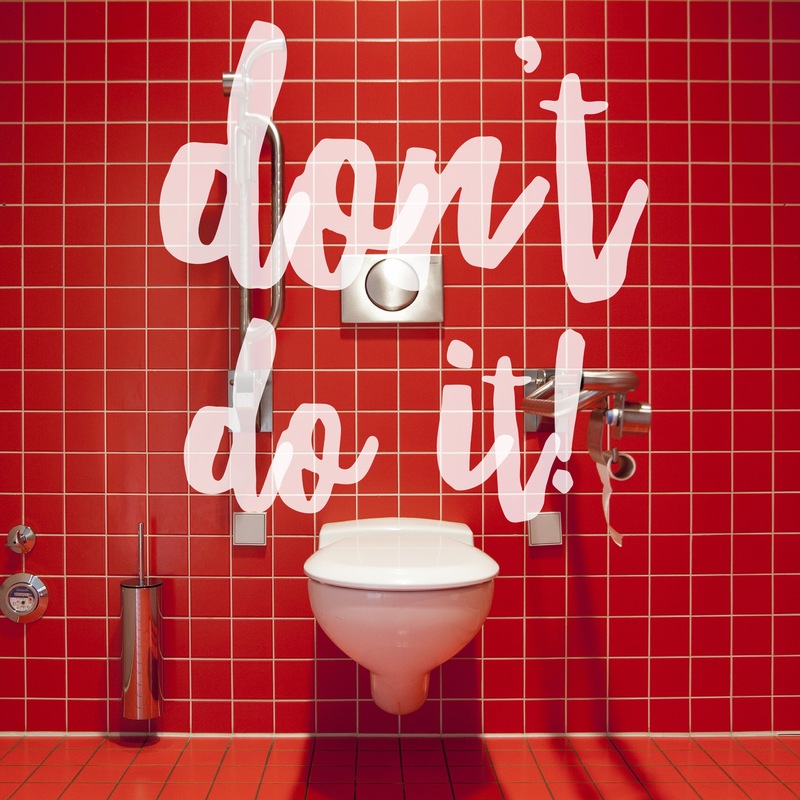 What if someone came in to wash their hands and heard what was going on in the next stall? No, no, no. That would not do. Therefore, a bulimic must practice the fine art of anorexia if she is to have any shot at keeping her diet under control… at least until she can get herself to a private bathroom. However, at my new workplace, there IS a private bathroom. And every single day when I go in there after lunch, this thought pops into my mind: You know, you could just toss that lunch right down the toilet and nobody would know a thing about it. Go ahead. It will be easy. Like riding a bike. Imagine how good you would feel when this fattening food is no longer sitting in your stomach. Do it! You get the idea. Perhaps I have let you in a little too far on the conversation between the voices in my head… but the point is this: it’s still there every single day! Of course, I know enough about the disordered toad in the back of mind to not respond to it anymore. I simply let the thought float through my mind, like a vile, green smoke going in one ear and out the other, and I return to my day. But that doesn’t change the fact that it’s still there… that putrid smoke, all the time. A couple of days ago, we had an interesting supper. 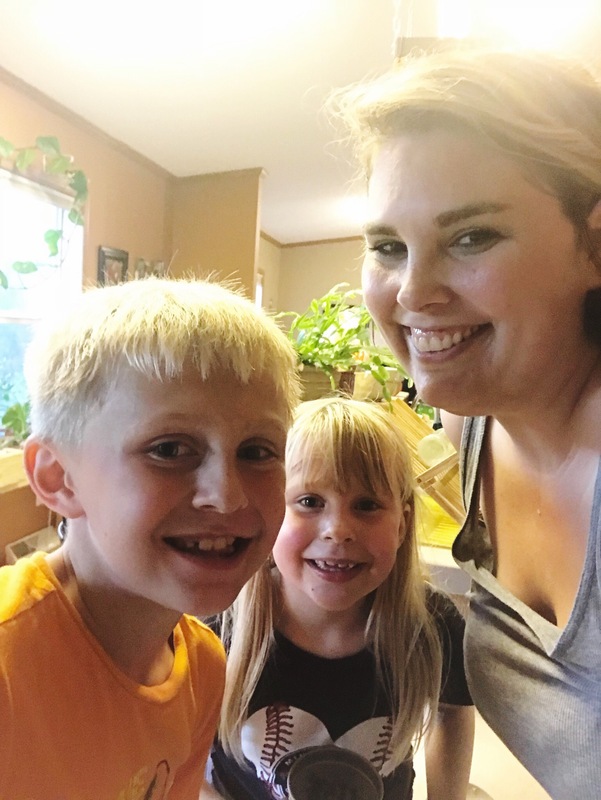 It was the kind of family supper that you almost can’t believe is happening to you at the time… but in hind sight, makes perfect sense considering the crazy nature of a home with two rowdy kids. Picture it. It’s 6:00 pm. Everyone is hungry but nobody actually wants to make anything to eat. Someone finally gives in and throws a little something together. That day, the someone was my husband, Tim, and the something he threw together was bologna sandwiches, complete with shredded cheese, Miracle Whip, and mustard. Note, we were low on groceries, which only aggravated the “thrown together” nature of the meal, and hence the reason there was shredded cheese on the sandwiches. As a side, he served canned green beans, heated up in the microwave with butter. He will read this and think I’m knocking the meal… I am not. I didn’t particularly like my sandwich because I don’t like Miracle Whip, but otherwise, the meal was perfectly fine… hastily put together, but fine. Lilly, who turns 7 today, walked up to the kitchen table wearing her underwear and a t-shirt. ”Where are your pants?” I asked her. To which she replied, “I don’t know,” and shrugged, turning her attention to the sandwich in front of her. Jack, who is 8, came to the table with a green storage tub on his head. Not a big one, one of those plastic ones that fits into those wooden racks to hold toys. ”Why do you have that on your head?” Tim asked. To which he replied, “I like it.” Oh, okay. Most days, our children get along with each other like cats and dogs, but occasionally, they get in this mood where they can’t help but laugh hysterically at one another. So we were sitting at the table, enjoying our Miracle Whip sandwiches, and Lilly started to tell a story about her day at school. She mentioned a friend of hers whose last name is Yates, to which I jokingly asked, “Oh, like Field Yates?” Nobody got this joke except Tim… and it’s entirely possible that you, the reader, do not get this joke either. But for those that follow sports and watch ESPN religiously, Field Yates is on your radar. He is a commentator for ESPN, specializing in fantasy football. I only mention him in this post because of his name. No knock to Field or anything, but his name is unique, and that’s why I thought of it when she mentioned her friend with the last name of Yates. Jack thought this was the funniest name he’d ever heard, and proceeded to repeat it over and over and over again. Lilly tried to go on with her story, but she couldn’t get past Jack spouting off the name Field Yates. Tim sternly asked them to please finish their sandwiches so that we may move on from the supper table. I sat there in disbelief at the scene unfolding in front of me. By this point, Lilly had become so overrun with giggles, that she rolled off of her chair in a fit of laughter. After a moment, she jumped up and started running around the kitchen island and kitchen table in figure 8s, laughing at the top of her lungs… in her underwear, of course. “Field Yates!” screamed Jack, hysterically, with the green storage tub still on his head. “I can’t stop laughing!” screamed Lilly, hysterically, while running the figure 8 around the kitchen. “Field Yates!” screamed Jack, again. “I mean it! Sit down and finish your supper,” said Tim, in his I-mean-it-this-time voice. “Field Yates!” screamed Jack, yet again. “It’s too funny!” said Lilly as she fell down in a fit of giggles on the floor next to the table. I shook my head at this and continued to pick at my green beans. What planet are we on!? I thought. Oh yeah, it’s the planet where all parents with small children live… Planet Crazy Town. Take a left after Neptune and keep on going past Pluto… you’ll see good ol’ Planet Crazy Town off to the right. Has anyone else been there? It’s quite the trip! I am not the kind of mother that actively plays with my children. It’s not that I don’t love them and I certainly don’t consider myself a bad mother for not playing with them… it’s just not my thing. Some adults were meant to be around children. They can get down on the same level as a six year old and play along with the fun. I’m just not one of those people. I wish that relating to kids was easier for me, especially considering the fact that I have two of them. To be perfectly frank, I’ve never even been a big fan of kids. I love mine of course, but that doesn’t mean that I relate well to any other kids. 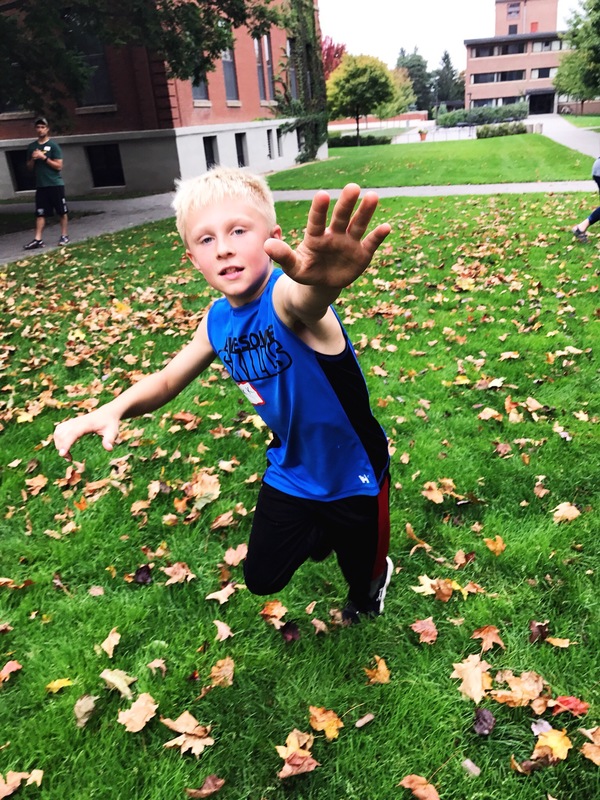 So, when my son asked me to play volleyball with him in the living room this afternoon, my first reaction was to say, “No way… I’ve got stuff to do!” But, that’s not what I said. Instead, before I could even muster up an excuse, we were taking turns bumping and spiking a blue and yellow beach ball over the back the couch. To give you a visual, the couch sits kind of in the middle of the room, so it made the perfect net. And the beach ball wasn’t very bouncy so it was pretty easy to keep the game under control and centered around the couch instead of breaking out a window. I found myself laughing harder than I have laughed in weeks. Before long, my daughter joined in on my team and we spent the next 30 mins giggling and jumping around, chasing that beach ball. After our impromptu game, I made the kids ravioli out of a can, everyone took a shower (without me having to beg them to do it), and we all settled in to watch the Twins take on the Yankees in the American League Wild Card Game. It was a perfectly wonderful, peaceful (meaning nobody pinched, bit, poked, screamed at, or fought with anyone else), fabulously fun night. And it got me thinking about how sometimes, fun takes a backseat to the practicalities of life. 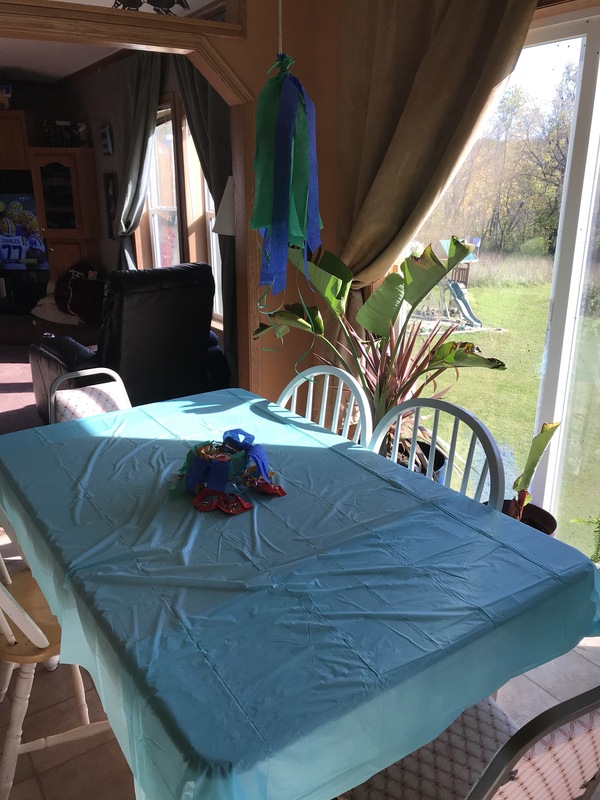 For example, on this particular Tuesday night, I should have been cleaning the house in preparation for my daughter’s birthday party this weekend. The children should have gotten their reading done before we sat down to watch the baseball game. I had work to do, people to contact, articles to read, tweets to send, and a whole slew of other stuff that I should have done instead. But what I did do was so much more fun! Too often, we (okay, maybe it’s just me) get caught up in the clutter… you know, the stuff that’s really unimportant in the long run. I’m not saying that cleaning and doing homework isn’t important, but this was a good reminder to me that life is not all about having the house clean or having the homework done before 7:00 pm. It’s about laughing until you think you’ll pee your pants, panting while chasing a beach ball around the living room, and snuggling in to watch baseball in October. Try it out this week. Slow down and remember… have fun! I am currently going through this sort of “metamorphosis of the soul”. It’s pretty intense, so I thought I would share with you a little of what I’ve learned so far. We, as humans, have this incredible ability to change our environments. Now, I realize that this is not necessarily a good thing… after all, we clear forests, and move mountains, and pollute the oceans, and deplete the ozone layer, and pave paradise, and all that jazz. But if you really think about it, the ability to change your environment is an astonishing power to have. It’s like being a superhero! It’s like you are freaking Wonder Woman! Here is an example. Compare yourself for a moment to an animal. Any animal, pick one. Let’s say a bunny rabbit. I like to think of myself as a cute, little, cuddly bunny rabbit sometimes, don’t you? Anyway, little bunny rabbit is hopping along doing her thing. She is hungry so she eats grass. She is thirsty so she seeks out water. She is tired so she finds shelter. She needs to go… so she goes. You get the idea. Never once does little miss bunny rabbit stop to think, “You know, I’m pretty tired of all this grass. I think I’ll figure out a way to grow me some carrots.” That’s just not the way her bunny rabbit mind is meant to work. But we, on the other hand, have these humongous brains sitting atop our bodies that allow us to literally take on superhero abilities and change entire environments. If I, for example, decide I want to stop eating meat and grow my own carrot patch, I can do just that. If I decide that I am unhappy with my life, I can do things to change it. This is an ability we take for granted. Since we don’t spend much time comparing ourselves to bunny rabbits, we don’t generally stop to think about how much more endowed we are in the brain department than any other animal on the planet, and how useful that endowment can be. So what does this have to do with love, you might ask, since the title of this article concerns love? With great power, comes great responsibility. We, as humans, have the ability to change our environment by changing our mindset… and if we decide to move from a mindset of hate to one of love, we can literally do anything we want. Nah, I didn’t believe it at first either. It was difficult for me to accept that, perhaps, my attitude towards life was holding me back. 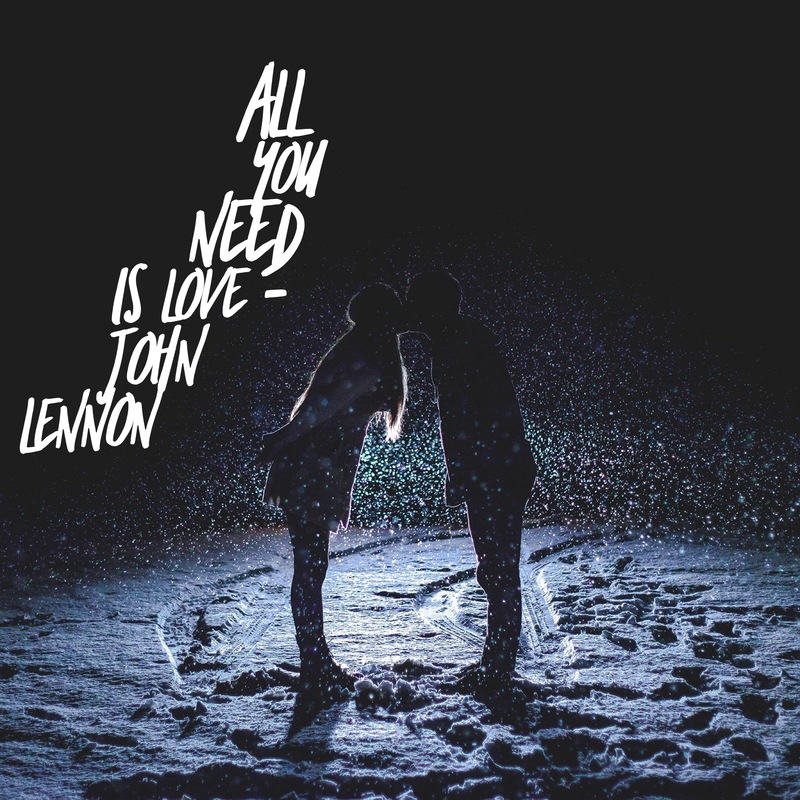 But that is the biggest lesson I’ve learned over the last few months… All you need is love! Love your neighbor, love your spouse, love your kids, love your dog, love your car, love your Earth, love the guy who just rear-ended you in traffic. Project love onto everything and everyone and happiness will start to follow you around like a poodle searching for table scraps. 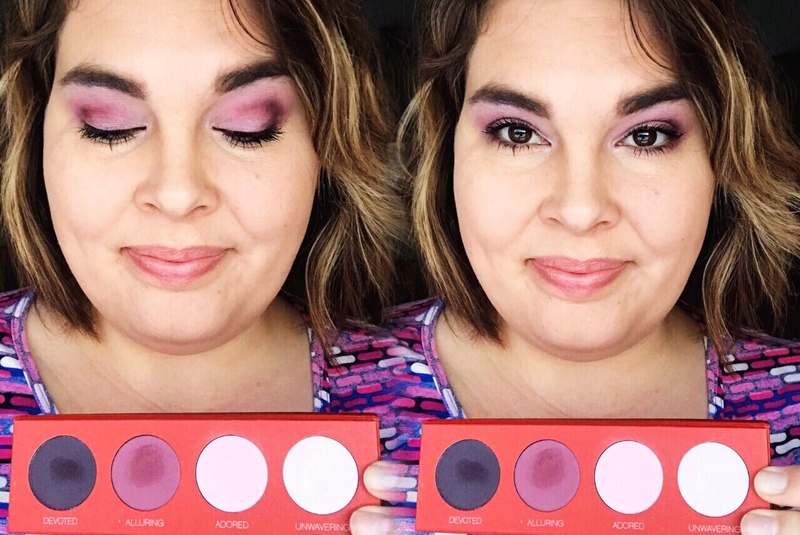 I think it’s funny that this whole mindset change, this attitude adjustment, this mental metamorphosis, came about because I decided I would try and sell some makeup. I made the decision to change my life. I decided to invest in myself and my personal growth. I opted to get together with some other amazing women and learn from them. I, unlike little fluffy bunny rabbit, have that ability. I can change my mindset from one of fear, anxiety, stress, and hate, to one of love. And once you’ve done that… the good stuff really starts to happen! Prayers for all those filled with hate… may we find a sense of peace and love. I had a particularly hard day yesterday… I could give you the specifics, but they really aren’t important. It was one of those days when you really have to make the conscious effort to search around and find God. Hidden in the little nooks and crannies of life, He is there. But finding God can be difficult, particularly when you’ve been running around, driving, working, moving, sweating, and chasing the squirrels in your head all day. Before I get too far into this, I understand that the G word is a difficult pill to swallow for some people. So feel free to call “God” whatever you want to call Him. Allah, Budda, The Light, The Supreme Being, Higher Power, The Big Cheese… whatever floats your boat, go for it. I’m reading a book at the moment where the author refers to God as Universal Intelligence and Source Energy. All fantastic names. Do I always refer to the Maker of Heaven and Earth as God? No, not always. But for the sake of argument, I will just stick to God in this article. God is everywhere. At any moment of any day, you can pause, close your eyes, connect to your breath, and you will be connected with God. You can choose to say whatever you want to Him, or you can choose to just BE with Him. But he is always there, ready to give you an emotional snuggle. You must ASK for said emotional snuggle. 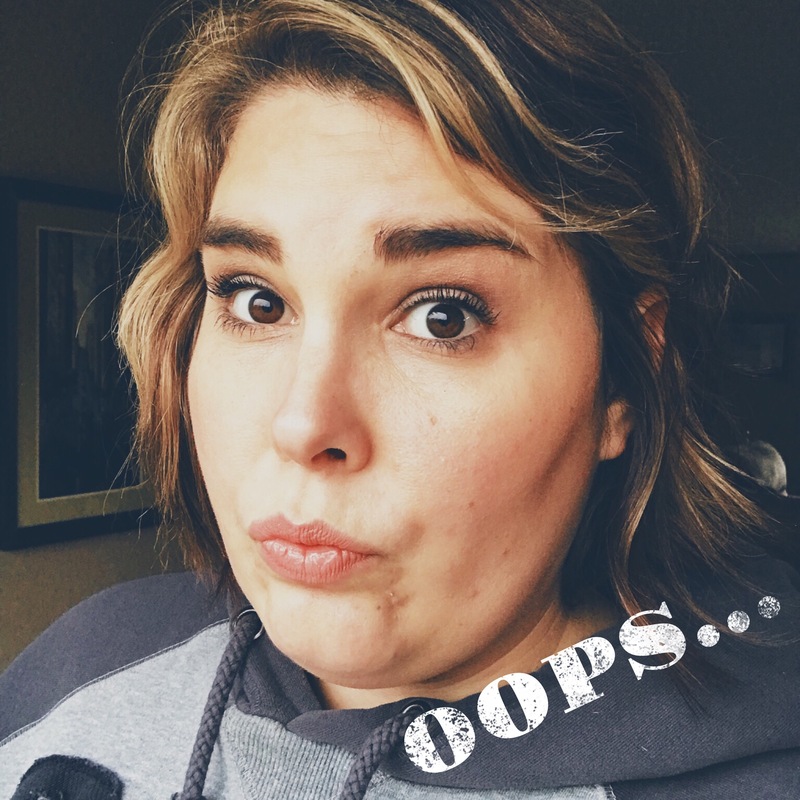 I run my own network marketing business, and what is the biggest roadblock to making the sale? You have to actually ASK for the sale. If you don’t ask, you will always, and indefinitely, receive no sales. Same goes with God. If you need a little emotional spooning from the Big Guy Upstairs, you must take the time to stop, breathe, and ask for it. He is always there, but he’s also not desperately hanging around trying to improve your life by jumping in and offering love. It’s a relationship… do your part! God is love and love is God. The two are interchangeable. If you grew up with the impression that God stood on a mountaintop, waiting to release some sort of “wrath” on you, I’m telling you, you can drop that now. God is love. Love is the highest state of being… hence, when you are full of love for your fellow man, the guy who just cut you off in traffic, the clerk at the checkout counter, your husband, your children, your boss, YOURSELF (that’s the most important one of all! ), you are happily basking in the clear blue ocean of God. So do yourself a favor, and start working on your love muscles… because if you want a closer relationship with God, you’ll need those glutes to be strong. God can do anything… and so can you. When you believe that you and God are one on one, mono e mono, BFFs, peas and carrots… then you will understand that you, aided by your pal God, can do ANYTHING you set your little ‘ol heart to do. So, back to my day, which started me on this little track about God. I returned home last night after a full day of work, followed by driving my daughter to her gymnastics class, and working some more while she gymnasticized. When we finally did get home for the evening, it was just starting to get dark and the air was crisp. You know, like autumn air, that kind of crisp. As I pulled into the driveway, I noticed that my wonderful husband had mowed the lawn and I could smell the fresh-cut grass. In fact, it suddenly struck me, not only how wonderful the smell was, but how beautiful the color of the grass. It was the deepest, emerald green. I was so inspired by this beauty that I walked right onto the front lawn and plopped down on it so I could feel this beautiful, green carpet. I laid down and let it touch all of my limbs. Then I was so happy about this feeling, that I got up and started twirling around like a silly, little girl. My daughter, Lilly, had been watching this from the front porch, and no doubt thought her mommy had lost it. Finally, she yelled down to me, “What are you doing? !” I replied,”Oh, I’m just being grateful honey.” To which she said,”Oh, so you were just talking to God. Okay.” Then she turned around and walked into the house. Yes, I thought to myself. That is the perfect way to describe what I was just doing. Sometimes, the six year old knows best. I am from Texas… and you know what that means? It means that I love football. Yes, I realize that this is just a social stereotype and not everyone from Texas loves football. But I would imagine that those that don’t, are in the minority. I sit here tonight watching the University of Texas play the University of Southern California for the first time since 2006, when Vince Young and the Longhorns beat Reggie Bush and the Trojans 41-38 in the Rose Bowl to win the National Championship. Today’s game is much more defense-heavy, with a score of 14-10 USC and 10 minutes to go in the fourth. Ahh, football. My first experience with football was in the mid 90’s when the Dallas Cowboys won a bunch of Super Bowls right in a row. I was just a tween, but I knew who Troy Aikman, Michael Irvin, and Emmitt Smith were. I knew that Jimmy Johnson was a coach sent from Heaven and that when he and Jerry Jones had their falling out, the whole state mourned. I went to a very large high school in South Texas with a very large football budget. We even had a very large marching band, which of course, I proudly marched in every Friday night. And although I didn’t actually play football, and I didn’t really even know how the game was played, I was part of the football machine. The stands were packed every weekend with thousands of football fans. The boys wanted to be football players. The girls wanted to be cheerleaders. Those who were good enough to make the football team wore their game day jerseys in class on Fridays, as did the cheerleaders. At a school with a strict dress code, I always thought it was ironic that they would allow cheerleaders to wear mini-skirts and bloomers to school all day. The quarterback was revered and he and the head cheerleader were always voted Homecoming King and Queen. I was part of the band, which was decidedly “less cool” than anything involving the football team or the cheerleaders. But we had our own part. Our marching band was GRAND. Between the band and the color guard, there were at least 300 people on the field. We learned elaborate steps, maneuvers, and formations. We memorized music and marched for a solid 10 minutes during the halftime show, all while keeping our horns up, heads back, and toes high. The color guard danced around twirling colorful flags as the band members snaked in and out of elaborate formations. We practiced every day before school, after school, and for a solid two weeks every August. By the time we actually marched the entire show on the field, we knew the steps, counts, and notes in our sleep. After high school, I went to college at Texas Tech University, home of the Masked Rider, the Matador, and Raider Red. College was a whole new football experience. Instead of several thousand, there were 50,000 people in the stands every Saturday. The campus was teeming with people all day leading up to game time and the student section was packed to the gills, no matter how bad the team was. Actually, Tech never had a bad team, but their teams were never great either. We had a few good wins though, occasionally defeating the likes of notorious rivals, the University of Texas and Texas A&M. My first year at Tech, the quarterback was Kliff Kingsbury, and the team went 7-6. Of course, the Big 12 powerhouse Oklahoma went 13-0 that season… but like I said, Tech was generally middle of the road. For those that follow college football, you might recognize that name – Kliff Kingsbury. He is now the head coach at Texas Tech… and one of the most stylish football coaches in the NCAA. Another notable player during that time was a receiver named Wes Welker. Again, if you follow football, you’ll recognize that name. I actually have a football with his signature on it (that’s a football nerd note, I get it). The marching band at Tech was like the Weslaco Panther Corp on steroids. It was bigger, louder, and even more grand, which was hard to believe considering the amount of discipline we had as a high school marching band. The college experience gave me a whole new appreciation for the sport of football. It is not just a game or a sport… it is a following, a pasttime, and a way of life for those who play and for those who watch. And frankly, I am pumped to be here for yet another football season. I am now a Minnesota Vikings fan, being I live in Minnesota. So I leave you with one word… SKOL!